The Indiana Retired Teachers Association (IRTA) is focused on the election season and we hope that you are as well. A “good voter” is a term used to describe an active and informed member of the voting community. While there are several key factors in exercising our voter muscle, the first is that we always vote! In Indiana, our vote may matter more in the May primaries than in the general election in November. Many races are decided in the primary elections, but few voters turn out for these spring races. IRTA wants our members to know that voting in the primary election is more than just important, it is vital. Let’s not allow a handful of voters casting ballots in May ultimately determine the final outcome in November. Your power as a voter is amplified in primary elections simply because so many other people choose not to vote. Remember, we can vote for candidates in either party. If you do not want an influential interest group that opposes our goals to take away your power in the November general election, consider choosing a candidate that you believe may be friendlier to IRTA issues. IRTA is not suggesting that you disregard your political ideals, or that you vote for someone you do not support. However, the primary process offers a choice of candidates, some of whom may support the IRTA legislative agenda. If you think your vote may be better used in this way, this may be a winning strategy for gaining support for IRTA issues during the legislative session. You may very well agree with the likely victorious political party in their area. This does not mean, however, that the candidate who wins the primary is the person you want representing you on vital IRTA legislative issues. It is easy to take for granted our favorite candidate’s chances of election. We must remember that when a candidate faces a challenger in the primary, the vote could go either way. IRTA does not endorse candidates for political office. IRTA will not tell you whom to vote for, but we will always encourage you to ask questions and choose a candidate that supports the interests of public educators. Our organization has a reputation for working across party lines to establish strong relationships with legislators for the good of IRTA and the Indiana Public Retirement System. We know that there are groups which seek to eliminate our defined benefit retirement plan. Some challengers to elected officials in primary elections are supported by groups that want to do away with our retirement system altogether. How can I learn about candidates who support retired educators? Your fellow retirees may be the best resource in helping you to determine which candidate is more favorable to issues that affect us. Now is the time to have these important conversations with each other and to learn more about the candidates. If IRTA does not exercise its resources - the voting power of 23,000 retirees - our allies in the Indiana Legislature or candidates asking for a chance to serve and protect our benefits may be defeated. Even though IRTA does not endorse candidates, this does not mean that we cannot be involved in political activities. The more you learn from the candidates and from each other, the better informed you will be on the day you vote. It is always helpful to attend a local unit meeting to converse with retirees in your area and to get feedback about whom they are voting for and why. You should also reach out to candidates in person, by telephone or by email. Do a search on Google to locate your candidate’s website and contact information. One way to get immediate information from candidates is to follow them on social media, such as Facebook and Twitter. What are IRTA’s key issues with the Legislature? When the Legislature convenes in 2017, a COLA and “13th Check” will once again be at the forefront of IRTA’s primary concerns. It will have been nine years since the last COLA. Since then our retirees, especially our oldest and longest retired, have had a diminished lifestyle. Many are living in subsidized housing or depend on other public or private programs to support them. This is far from a proud and dignified retirement that they should receive for serving our state’s children and youth during their careers. During the next few months, IRTA will reach out to Senators and Representatives to discuss and meet about potential solutions. However, when 2017 arrives, many new legislators will begin their service and will be faced with an influx of issues, advocacy groups and lobbyists, all vying for their attention and the money that they control. When should we begin the process of educating our political leaders about IRTA issues? Think of every candidate in every Primary Election race as a potential legislator. These are the people who may be making the decisions about whether or not you receive a COLA or a “13th check,” and they will decide whether Indiana keeps our present retirement system in place. They need to hear from you about what matters and why. Please consider drafting an email or letter to the candidates in your area using the questions below to explain your needs and concerns about your retirement security. Do you support a defined benefit plan for all current and future Teacher Retirement Fund retirees? Do you support providing a reasonable, affordable COLA for Teacher Retirement Fund retirees? Do you support providing a “13th Check” for Teacher Retirement Fund retirees? What will you do as my legislator to ensure that the TRF funds are preserved and improved? Please feel free to report back to IRTA with any responses that you receive, both positive and negative. Send an email to info@irta.org with the subject line “Elections.” It is also imperative to share the feedback you receive from candidates with other educators. How do we send a clear message on Election Day? Don’t let anything stop you from voting. Get your friends, family members and fellow retirees to vote as well. Get a commitment from at least 10 people to get out and vote. Ask those 10 people to encourage at least 10 people to get out and vote too. It is that important; it matters that much; and it is critical to the IRTA agenda. We have to exercise our voting power. IRTA members should be known as consistent, persistent, confident voters. When legislators and other organizations hear about members, they should know we will be at the polls. We will be armed with information, and ready to cast our votes for leaders who will work hard to address these concerns with fairness and absolute dedication to protecting your retirement security. What questions should I ask myself before voting? What does my monthly pension mean to me? How have I used my ASA annuity? How much do I receive from my Social Security income to bolster my monthly annuity? Does my future Senator or Representative understand that I have not had a COLA since 2008? Do I want the Teachers Retirement Fund pension fund to be maintained for all current and future education employees in Indiana? 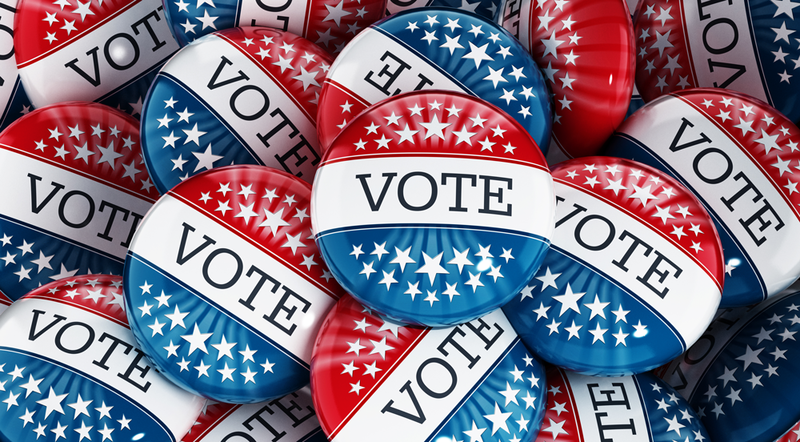 Primary election day is May 3. Be the one who makes the difference in this year’s elections!